Parliamentary leaders on Wednesday agreed to pass a constitutional amendment that will allow fresh delimitation of constituencies based on provisional data from the recently held census, DawnNews reported. 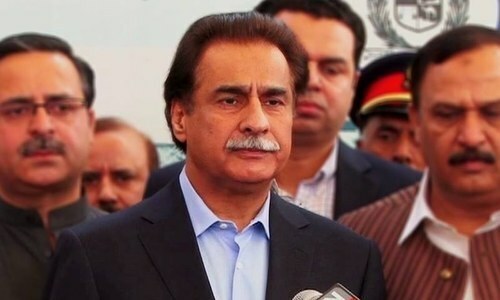 National Assembly Speaker Ayaz Sadiq chaired the meeting, during which it was agreed that the bill allowing the amendment would be approved by the lower house on Thursday. However, since the PPP's leaders were not present for the meeting today, a meeting with them will be held at 2pm tomorrow in order to secure their approval for the move. The breakthrough on this matter had been achieved earlier following a Council of Common Interests (CCI) meeting on Monday, during which Sindh's lawmakers had agreed to hold elections based on provisional results, but only after a third-party audit of certain population blocks. The PPP had previously demanded that the amendment be approved by the CCI before being passed in the National Assembly. Muttahida Qaumi Movement, however, raised objections over the amendment once again in today's meeting, accusing the government of dismissing Sindh's concerns over the recent census. The party had earlier suggested that delimitation should be conducted based on voter lists instead of recently-held census data. The constitutional amendment had been tabled in the National Assembly by Law Minister Zahid Hamid on Nov 2 after an “agreement” among all political parties was reached following a two-day meeting of all parliamentary leaders. However, the MQM and PPP had raised objections, with the latter calling the move "unconstitutional". It was subsequently returned for further deliberation. In the Elections Act 2017, the above-mentioned sections, which relate to the status of Ahmadis, had been omitted. Section 7B says that the status of Ahmadis remains as stated in the Constitution of Pakistan, while section 7C states that if an enrolled voter's belief in the finality of Prophet Muhammad's (PBUH) prophethood is contended, they shall have to sign a declaration stating so, failing which their "name shall be deleted from the joint electoral rolls and added to a supplementary list of voters in the same electoral area as non-Muslim." Though the government had argued that it was a "clerical error", the omission sparked protests in Islamabad by religious parties, disrupting public life and prompting police to set up shipping containers to prevent the protesters from entering the city. How is data collected and tabulated for Pakistan's 2017 census?